Mandarin Oriental is the brand behind Mandarin Oriental Hyde Park, one of London’s most prestigious hotels, offering luxurious rooms and suites to its customers at a five-star rating. They were inspired from their visit to our offices and wanted a transient breakout area which would appeal to clients. 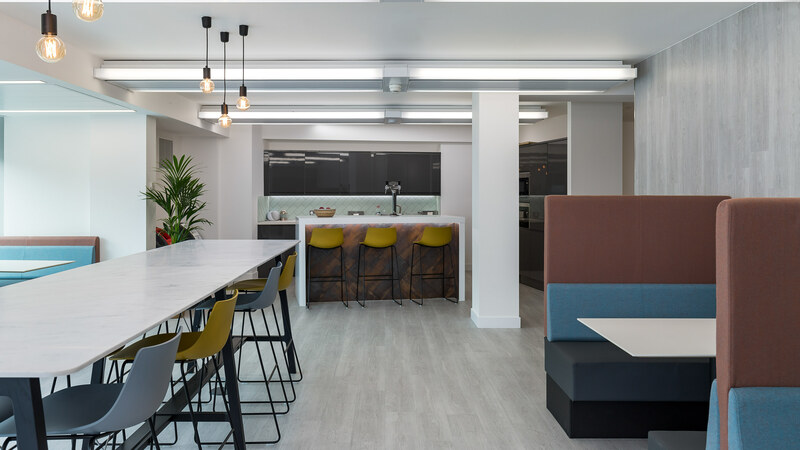 Mandarin were eager to embrace agile working practices in their new workspace to encourage both collaboration and communication. 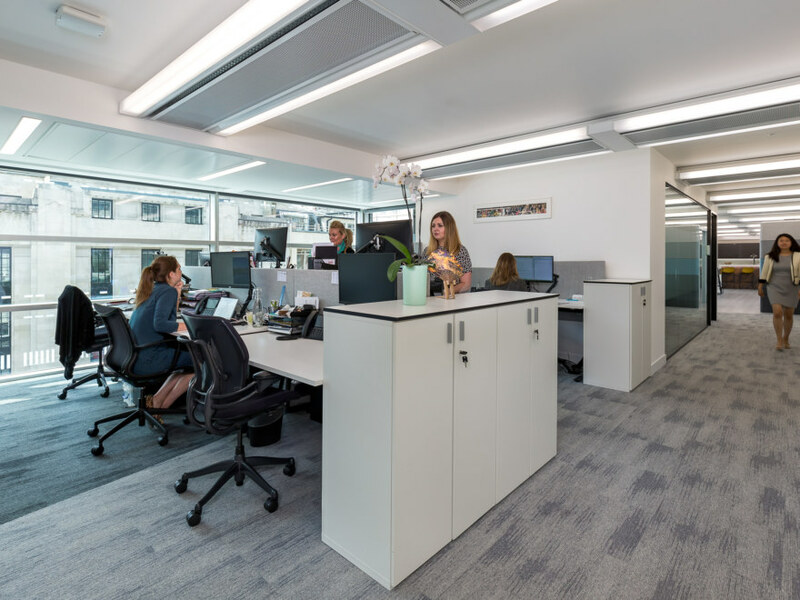 Our team conducted a workplace consultancy which consisted of employee interviews to find out how they work and what changes were needed to increase productivity and wellbeing. 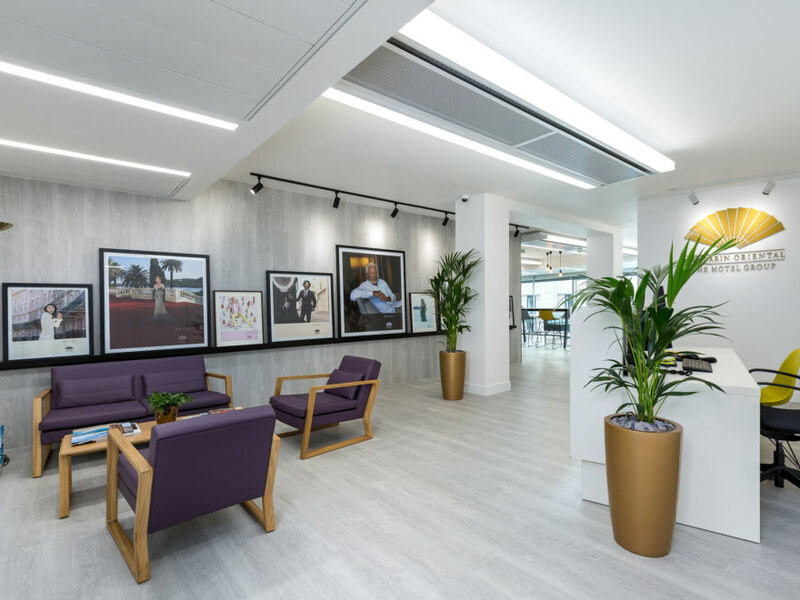 The consultancy also identified different work patterns and exposed the need for more call spaces, small meeting rooms and flexible spaces in their current offices. We were able to determine how much space Mandarin required and carefully designed the rooms around the existing services in the new building. 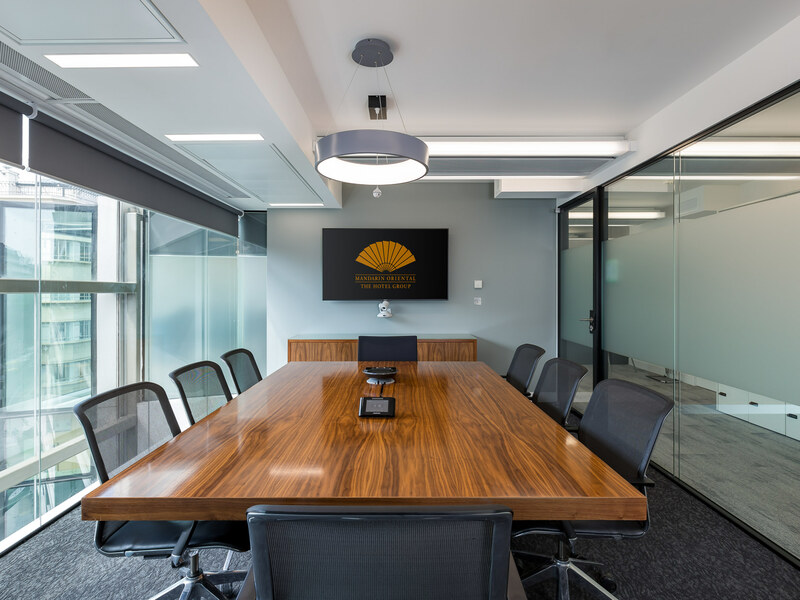 Mandarin Oriental now has an office that is fully functional as both an office and a space for meeting clients. 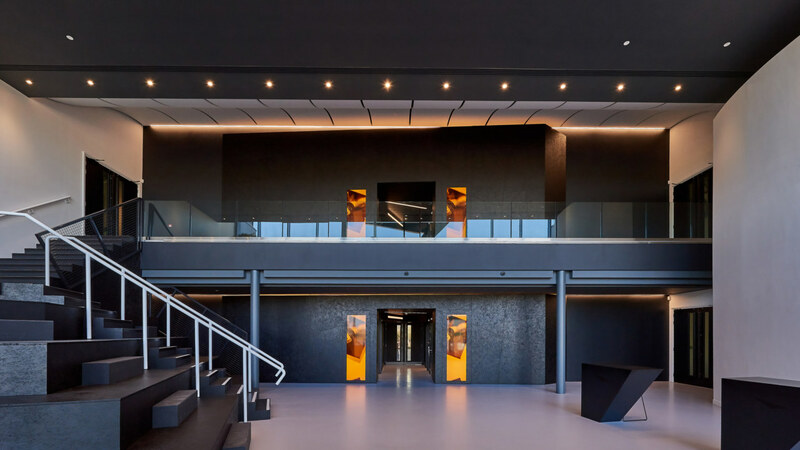 The reception area contributes to the visitor experience as they journey through the mix of open plan and semi-private enclosed workspaces. 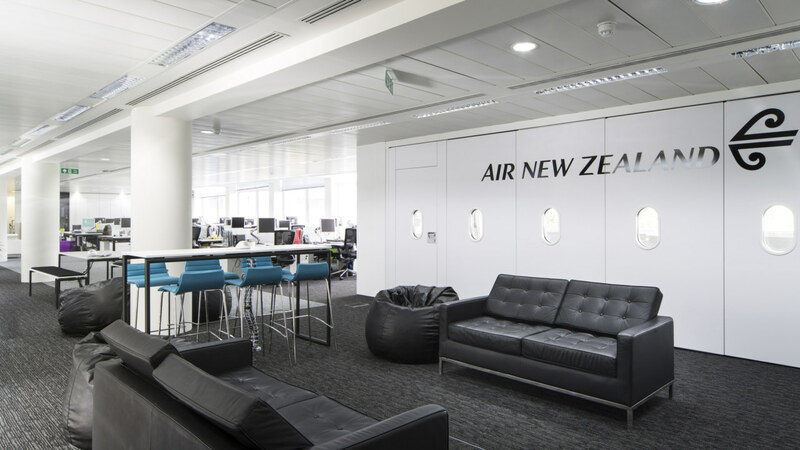 The new breakout area is multifunctional, using a variety of seating styles to promote agile working. 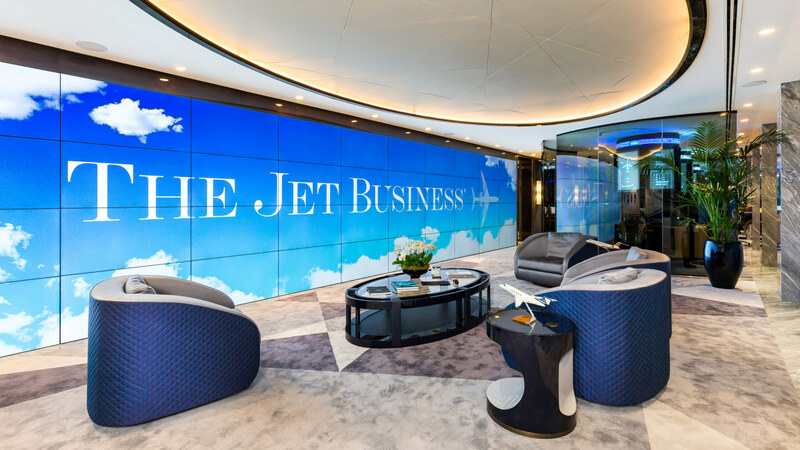 The office now benefits from a client-facing board room, post room and kitchen with a brand-new room booking system.